I think we go through equal amounts of tomato sauce and diced tomatoes. It is always hard to decide which one to do when I get bulk tomatoes. 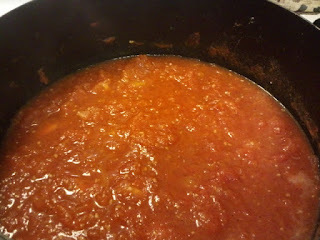 Diced are definitely easier and less time consuming that tomato sauce. Since tomato season is just starting I decided to go with tomato sauce. 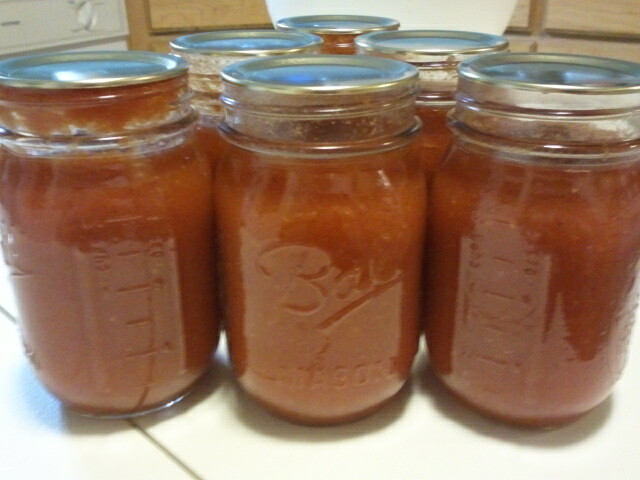 10 pounds of tomatoes yielded 6 pints of tomato sauce. I know, not much but the taste of homemade is so much better than anything you can buy from the store. 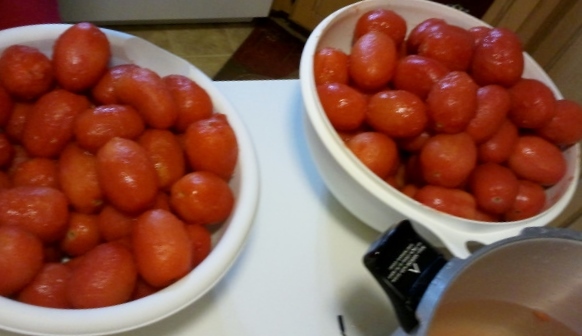 Each bowl is 10 pounds of tomato. 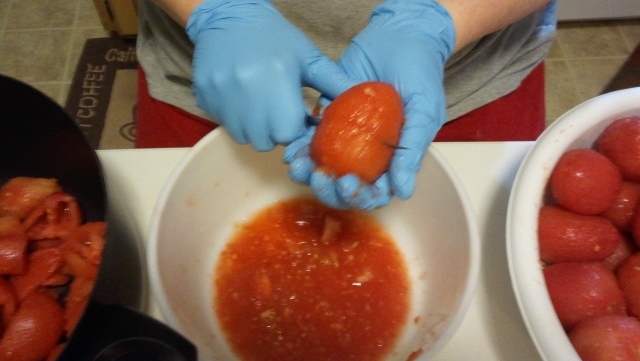 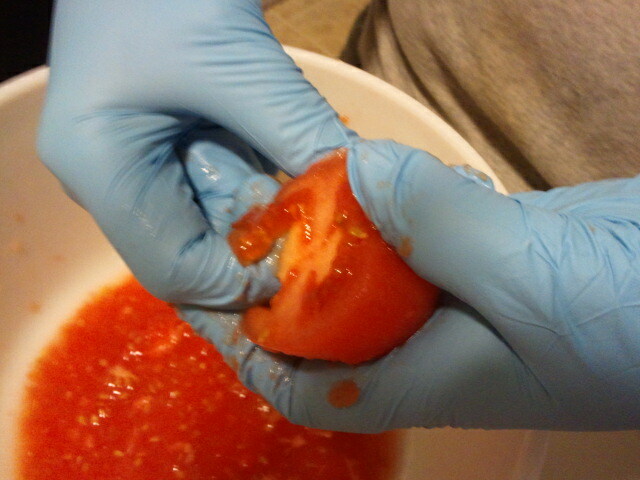 After tomatoes are peeled cut in half and gently squeeze out seeds and some of the water. 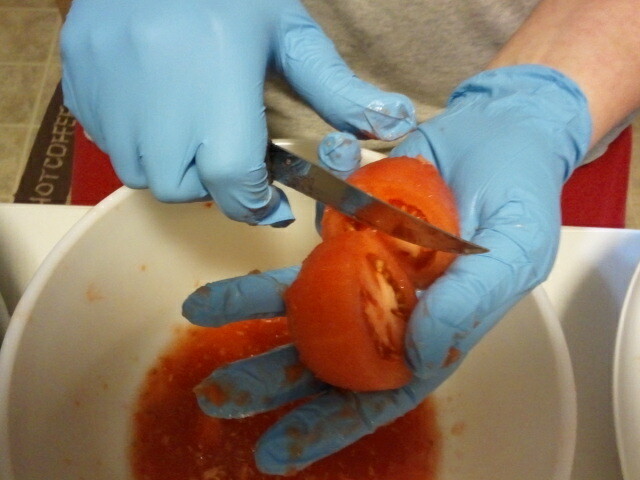 You can chop them up more but it's not necessary as they will cook down. 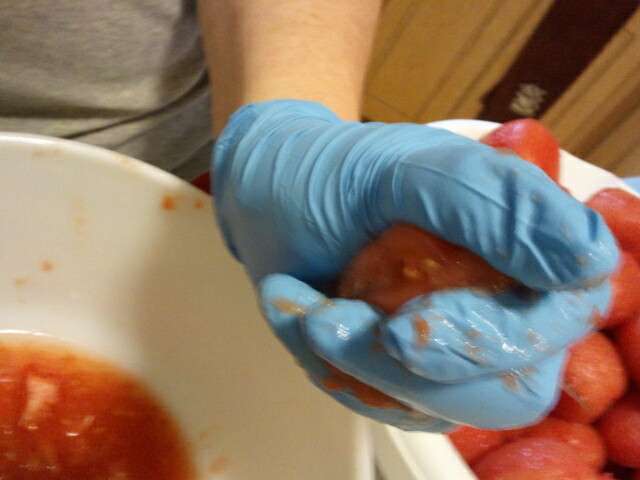 If you have a food mill or sieve you don't even have to cut the stem off. 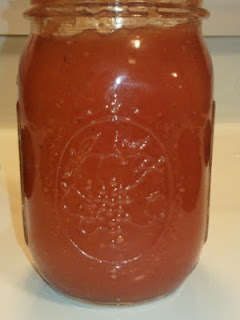 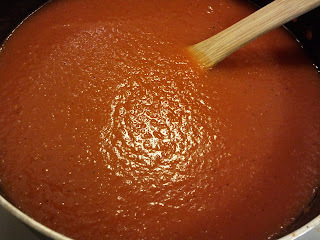 If you are blending into sauce you would want to cut the stem end off so it doesn't get blended into the final mixture. After you have squeezed all the tomatoes and they are in a large pot; add the onion, garlic, salt, pepper and sugar. 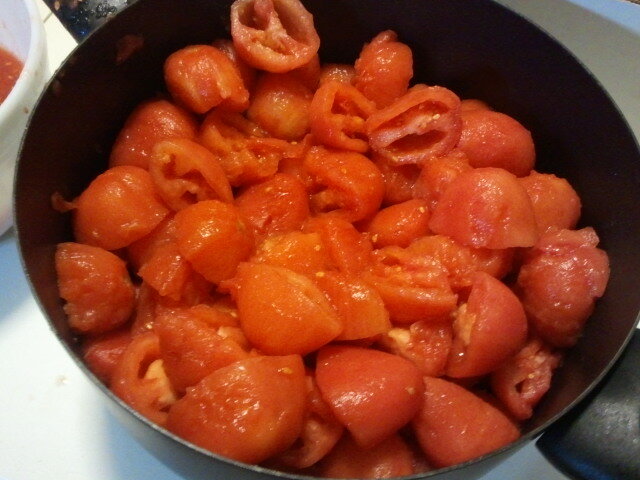 Bring to boil, then reduce heat. 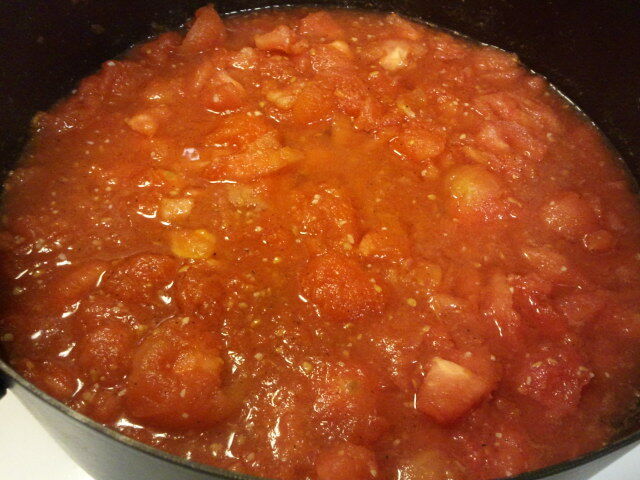 Continue simmering for 2 hours until tomatoes have reduced and fall apart. 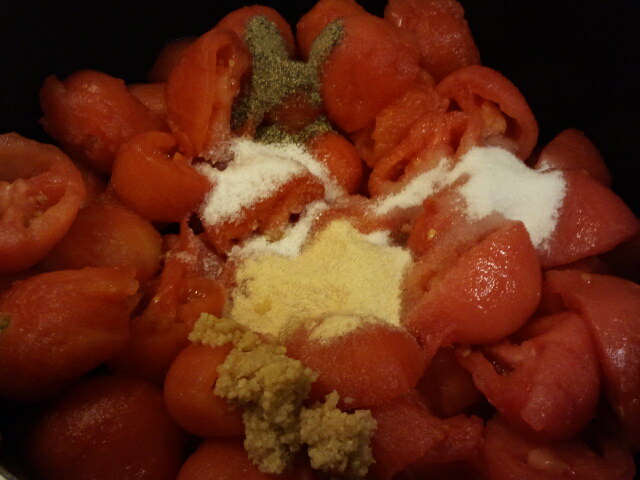 Run through blender or food mill or whichever option you choose. 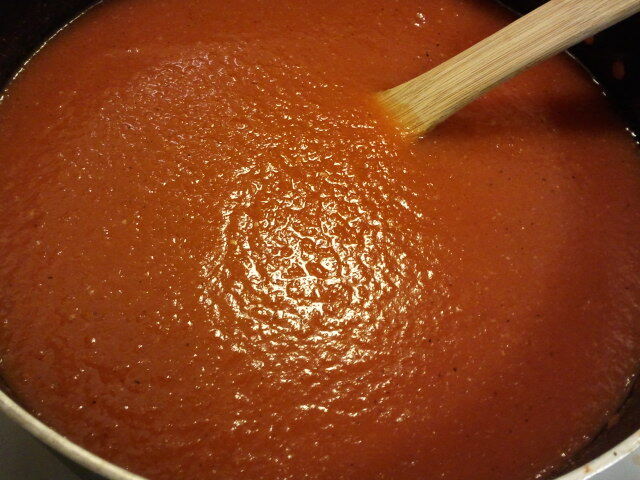 Continue to cook on medium low until thickness you desire. 1-2 hours. 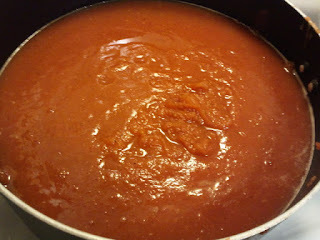 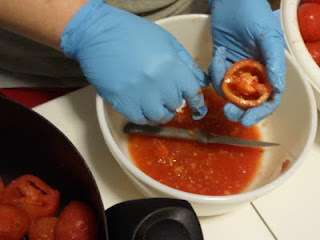 At this point you can either freeze containers of the sauce or start the canning process.